the Association and their families. 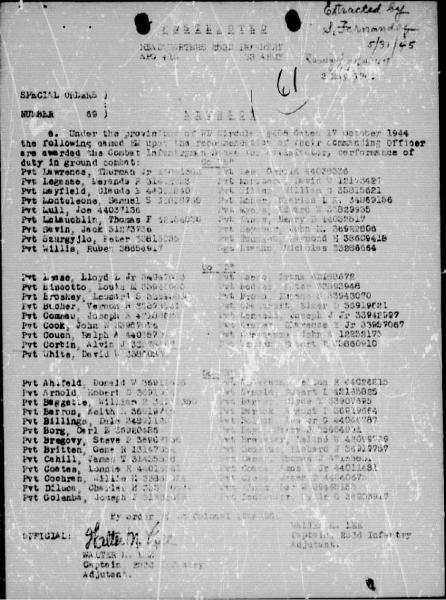 father a CIB dated April 1945.
published in the regimental unit files. after World War II was over. will do what I can to make the award happen. This is one of the better copies that I have been working with.